Illustrators: Henri Cayon and Georges Hourriez. 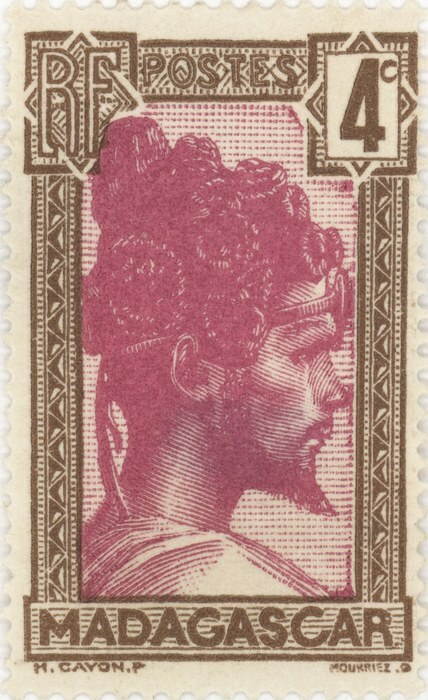 A black and lilac definitive stamp depicting the head of a bearded Sakalava chief in profile. 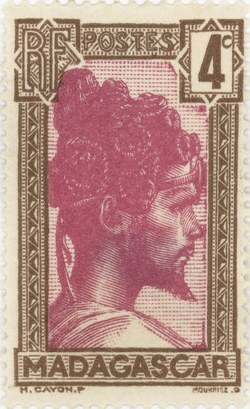 It was issued on 8 December 1930 and has a face value of 4 centimes.